Playing with genes and molecules always ends up well. Out in space, some top-secret gas matter is released and careens towards the world in the form of meteoroids. Knowing the power this holds, an unethical company led by siblings Claire and Brett Wyden (Malin Akerman) will stop at nothing to get it back for selfish reasons. 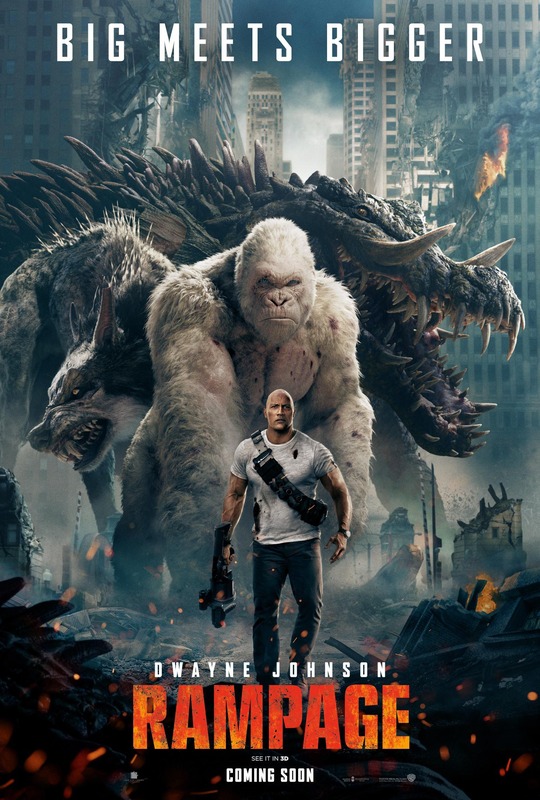 Immediately, many of the nation’s animals are affected, one being George, an Albino gorilla who shares an unshakable bond with primatologist Davis Okoye (Dwayne Johnson). He starts growing at an exponential rate and becomes more aggressive, going on a Rampage on anything and everything around him. The only other individual who can help him is Dr. Kate Caldwell (Naomie Harris), who’s looking for personal redemption. Together, Davis and Kate must traverse mutated lions, tigers, and bears to save not only George but the entire US of A. In a film world where a lot of questionable material is greenlight and made, video game movies are usually at the bottom (or is it top? )of the list with disappointment after disappointment. And though it really shouldn’t be, it’s sort of a mild shock that Rampage, a video game famous for having the absolute bare minimum for a story and an ending that just says “Congratulations” after spending 128 levels getting to it, is the latest silver screen VG-adapted feature tasked with reversing the curse. Much like the redone Tomb Raider, it’s an overall victory in that Rampage isn’t horrible. Make of that what you will. If a slight déjà vu feeling is felt when watching this, there may be a reason. 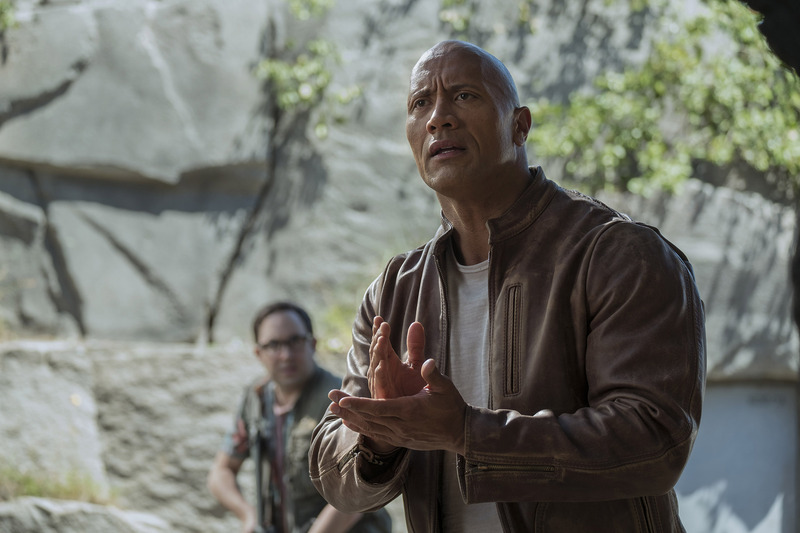 2015’s mother nature disaster San Andreas saw director Brad Peyton and megastar Dwayne Johnson reunite again after their work in Journey 2. So, there’s a level of autopilot effortlessness that comes with frequent collaborations. Speaking to Peyton, he’s quite adept at setting up destruction, be it in a zoo, a forest, or on a plane. These sequences are the epitome of dumb fun with the realization that that’s all they are. It’s even a little violent for a PG-13, there’s definitely an R-rated cut or an unrated offering in here. Peyton, Johnson, and Rampage find their greatest groove in the final 20-30 minutes, which happens to be a rollicking exercise in collateral monster damage. In other words, what most of the trailer hinted at. If only the film were half of this, something could be here. Instead, Rampage is a little of a slog until the end, beginning with an absolutely brutal five minute space sequence. The plot more or less boils down to saving the world (actually, just Chicago but don’t tell that to Jeffrey Dean Morgan’s character). This is fine, but scriptwriters Ryan Engle, Carlton Cuse, Ryan Condel, and Adam Sztykiel bake in tons of other boring dialogue, failed one-liners, and two absolutely pitiful foils in the form of Jake Lacy and Malin Akerman. No, it’s not all the fault of the writers; Akerman and Lacy feel so out of place, wooden, woeful, and whatever superlative one wishes to use. But their character motivations don’t go beyond “script needs stock bad guys” and their ultimate endgame makes little sense for how much exposition time is spent on it. If there’s one thing everyone can agree on with Dwayne Johnson, it’s that he’s consistently likable in every film he appears in, and seems to be all in at the moment in being this generation’s #1 action star. That may not mean a ton range-wise or even talent wise, but a bona fide action star is nothing to scoff at. However, Davis Okoye is one of his more forgettable characters in recent memory, and the forced love angle with Naomie Harris does no favors as the two share little chemistry. Really, The Rock is overshadowed by two characters, one being the CGI George who is the most endearing aspect of Rampage. The bond he and Davis share feels very legit. And the other? That would be one Jeffrey Dean Morgan, tapping into a morally neutral character with the personality of his villainous Negan. For the finale, Rampage is what it promises, with the rest of the movie being a little more miss than hit. If recent history is anything to go off of, Johnson and Peyton will reunite in 2021 to layeth the smackdown against mother nature, genetic editing again, or some other variant. Photo credits go to time.com, joblo.com, egmnow.com, and collider.com. Nice review, but I think I will save my money for Skyscraper. Dwayne Johnson again, but in a movie that looks like it actually might have some nuance to it. But I’m probably already setting myself up for disappointment there, too. Haha! Luckily I didn’t have to pay for this! 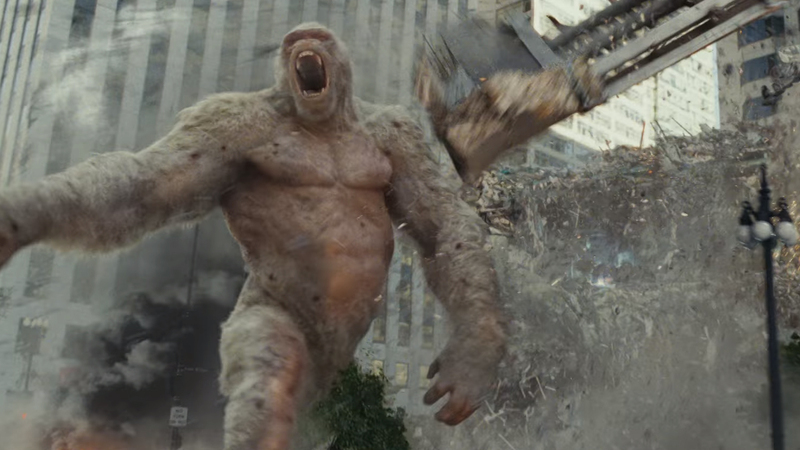 I too have more interest in Skyscraper than this Rampage movie. I think it’ll come at a perfect time in the summer where we’ll need some Die Hard-esque action but perhaps with a surprising plot as well.